Texas Community Propane, Ltd. maintains a 24/7 emergency phone number (1-877-635-5427 or 1-87- SMELLGAS) in order to be contacted regarding potential gas leaks and loss of gas pressure. Propane is a non-toxic, reliable fuel that has been used for decades in various residential and commercial applications. Propane gas is heavier than air, odorless, and colorless with an odorant added to identify by smell. Propane is one of the nation’s most versatile sources of energy and supplies 3 to 4 percent of our total energy needs. Nearly 11 billion gallons of propane are consumed annually in the U.S. by more than 50 million Americans who use propane every day in their homes, on farms, for vehicles, and even for recreation. People trust and rely on propane for heating and cooling their homes, heating water, cooking, refrigeration, drying clothes, barbecuing, and fueling their fireplaces. This exceptional fuel is available anywhere in the U.S. and burns cleanly, so it’s environmentally friendly. 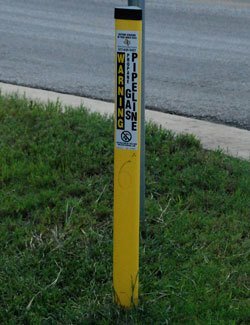 Gas Pipeline Awareness and “Call Before You Dig”: Texas Community Propane, Ltd. provides propane gas service through subdivision-based propane gas distribution systems. The system delivers propane gas vapors through a network of underground pipes located in the subdivision to a gas meter located beside the customer’s house. 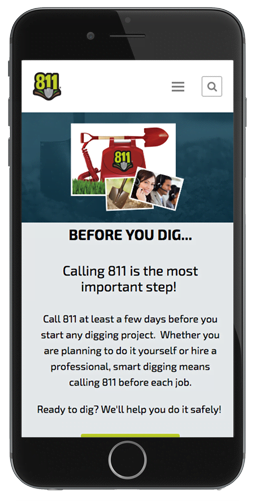 Because underground gas lines and other utility lines are located in each customer’s yard, Texas law requires you to provide a two (2) business day notice to all utility companies before you dig. You can provide this notice by calling 811 to request a line locate. There is no charge for this call or for this service. TX 811 will notify the gas company and we will mark the location of our gas lines with either yellow flags or yellow paint or both so that you will know what areas to avoid. Pipeline Markers are an important safety precaution. Because our pipelines are buried underground, we use Pipeline Markers to identify the approximate location of some of our larger gas lines. Pipeline Markers can be found at most street, highway, and railway intersections. Be aware of any Pipeline Markers in your neighborhood. Write down the gas operator’s name and phone number in case of an emergency. (Note: There are areas where gas pipelines exist that do not have Pipeline Markers; remember to always call Tx 811 for line locates before digging). The exact location of the pipeline. The approximate location of the pipeline. The name of the gas operator company and their emergency phone number. Although it is unlikely that someone will experience a propane gas leak, the information provided is very important and assists in preparing you for safely responding to gas emergencies if one should occur.